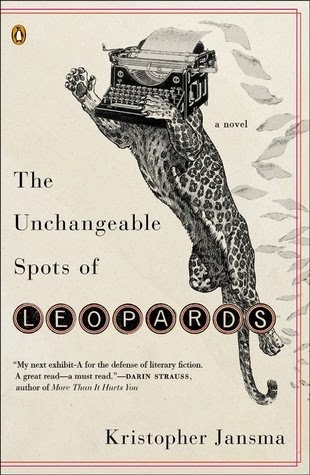 Have you read The Unchangeable Spots of Leopards? It's out in paperback today! The original cover made me drool. It looked, and felt, amazing. But just look at the amazing paperback cover! That is so weirdly cool I can hardly stand it. Awesome. When I heard the paperback release date I wanted to give it a shout-out here. This was a stand-out book for me in 2013. (I don't think the book got nearly the attention it deserved!) If you missed it then you shouldn't now. Thanks for the heads up! What a beautiful book, and if it's a stand out to you, I wanna try it! It's a really groovy story, I think you'd like it! Thanks for the recommendation, I do like these covers! I did miss this one the first time around, so I will add the PB to my TBR list! Weeeeeird cover! Thanks for the heads up! Typewriter head leopard?! That is insane! I don't even know what this is about and I now want to read it. Never underestimate the power of nightmare animal hybrids! 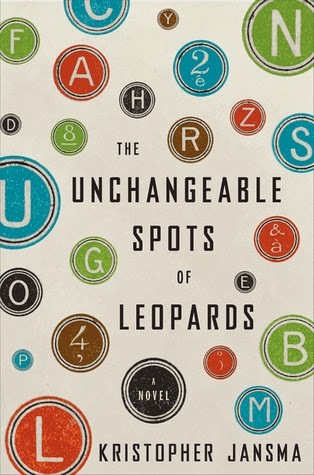 I totally agree that The Changing Spots was one of the most overlooked books of last year. It was pretty great but didn't get the attention it deserves. The HC cover was amazing, but i'm not so sure about the PB. It's still go, but why mess with perfection? That is a cool paperback cover. It makes me want to read it more and I may just do that. I keep seeing these comments about you going to school. I would love to know more about your decision to go back and what you are studying. I am proud of you! This one has been on my TBR list forever. I was holding out hope for it on NetGalley because it's been in a limbo state for so long, but I need to just go ahead and buy it!